On 14 July 1969, El Salvador invaded Honduras, leaving thousands dead and displaced on both sides. The war impacted the entire economy of Latin America for decades and only recently have tensions between the two countries died down. And what was the spark that triggered this war? Football. That’s “soccer” to you Americans out there, but almost everyone else calls it the “Football War.” It’s extremely complicated, so here goes. 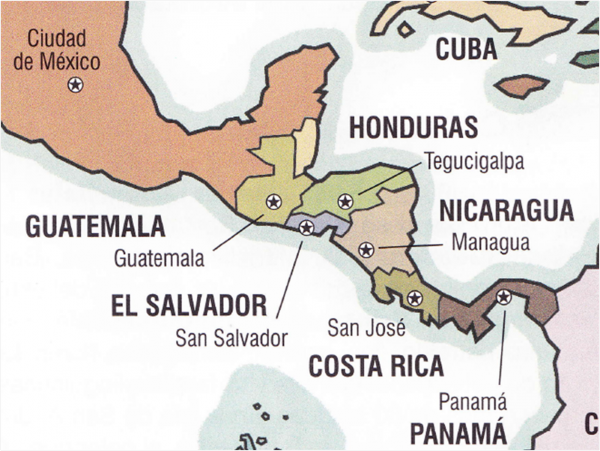 El Salvador is about five times smaller than Honduras, but in 1969, it had a population of about 3.7 million people compared to Honduras’ 2.6 million. While both countries were poor, Honduras’ greater size ensured better economic opportunities. By the late 1960s, an estimated 300,000 illegal Salvadorans lived in Honduras, increasing tensions between the two countries. But it wasn’t just ordinary Hondurans who were upset by the influx. Much of Honduras was owned by powerful landowners and large corporations who wanted to own even more. The United Fruit Company (now Chiquita Foods International) alone owned over 10% of the country! And while they were happy to hire Salvadorans, they weren’t as happy to see so many of them living on prime real estate. In 1966, the biggest landowners created the National Federation of Farmers and Livestock-Farmers of Honduras (FENAGH). Under FENAGH, Honduras began a massive land reform program the following year which expelled Salvadorans, even those who had legally occupied land for decades. To garner local support, some lands were given to Hondurans. Migrant workers (both legal and otherwise) were also expelled, creating problems for those married to Hondurans. Thousands were driven out of the country on the pretext of ensuring jobs and land for locals. Tensions between the two countries reached their peak in February 1969 when a two-year accord regarding cross-border passage expired and wasn’t renewed. 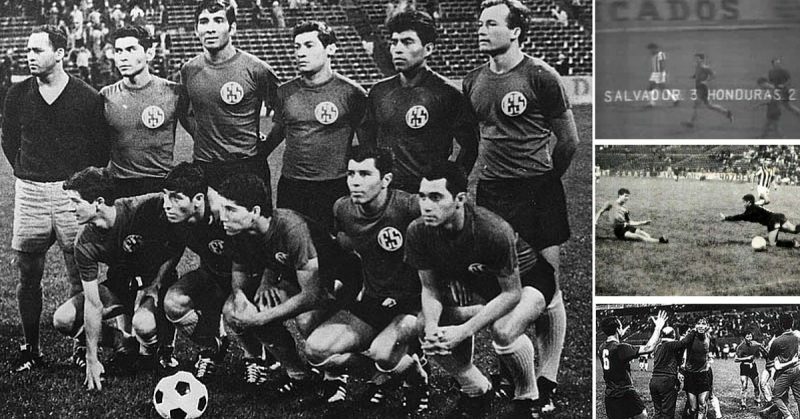 Now, enter the 1970 FIFA World Cup qualifier. 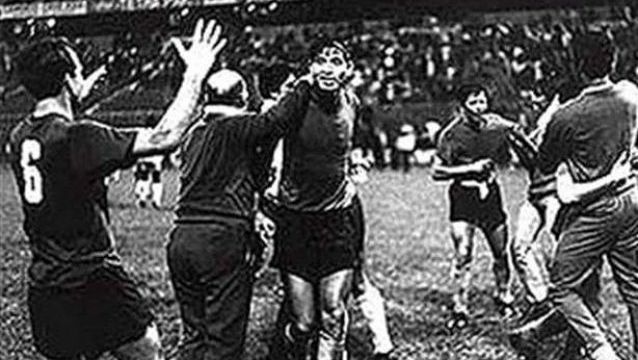 Honduras hosted the game at its capital in Tegucigalpa on 8 June 1969 and won: 1-0. But the only goal was made in overtime, so Salvadorans felt cheated. El Salvador hosted the next game at their capital in San Salvador on June 15. The night before, locals surrounded the hotel which housed the Honduran team, banging pots, honking horns, and shouting all night to prevent anyone from sleeping. It worked. El Salvador won: 3-0. But they were still angry about the first match, so some these locals attacked Honduran spectators. Two Hondurans were killed during riots in the city, while buses and cars headed to Honduras were targeted in the belief that their passengers were Hondurans. Exaggerated stories spoke of bloodbaths and of Hondurans being held hostage. Honduras erupted. Salvadoran-owned shops were vandalized and looted while their owners were beaten. Salvadorans became targeted by mobs, and many were dragged out of their homes and workplaces. Stores selling Salvadoran goods in Tegucigalpa and San Pedro Sula were attacked, regardless of who owned them. Salvadorans began fleeing back across the border, harassed by angry crowds and by hoodlums looking to make a quick buck. Houses belonging to Salvadorans were looted and burned, while a number of women were raped. It’s believed that as many as 1,400 flowed back into El Salvador every day, mostly on foot. El Salvador accused Honduras of committing genocide and called on the Organization of American States (OAS) to intervene, but to no avail. The final blow happened in Mexico City on June 26. El Salvador won: 3-2. Buoyed by their victory and frustrated by the lack of an international response to the humanitarian crisis, El Salvador terminated all diplomatic ties with Honduras. Honduras retaliated on July 3 by sending a small reconnaissance plane into Salvadoran air space near the Honduran border town of El Poy. In the early morning of July 14, three Honduran fighter planes flew into the same area and may have engaged in practice strafing runs, depending on who you ask – El Salvador says Honduras did, which the latter denies.